SS 309H Tubes, 309H Stainless Steel Pipes, SS UNS S30909 Pipes, ASTM A312 Stainless Steel werkstoff nr. 1.4833 Seamless Pipes & Welded Tubes Supplier & Exporter in India. 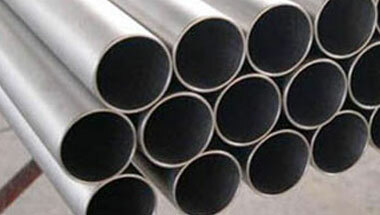 Neon Alloy’s is one of the leading supplier & exporters of stainless steel 309H pipe. We bring out a unique range of SS 309H Pipes & SS 309H Tubes which is processed under high tech machines. TP309H is an austenitic chromium-nickel steel with a low carbon content for high-temperature applications. TP309H has a superior corrosion resistance to oxidation up to 1050°C, and the retention of a larger fraction of room temperature strength than common austenitic alloys. Good creep deformation resistance. These 309H stainless steel pipes & tubes are used in Furnace equipments, tube hangers, chemical process industries such as hot concentrated acids, ammonia, sulfur dioxide, acetic and citric acid, and food processing industries. Our product includes tubes and pipes, SS 309H Pipes, SS 309H Tubes, Stainless 309H Seamless Pipes & Tubes etc. These products are available at best possible prices which is another important feature exhibited by our products range. Stainless Steel 309H ERW Pipes, SS 309H Seamless Tubes, Steel 309H Welded Pipes, Stainless Steel 309H EFW Tubes, Stainless ASTM A213 309H Seamless Pipes Manufacturer in India. Chine, Saudi Arabia, Houston, Democratic Republic of the Congo, Iran, Bahrain, Ghana, Argentina, Kuwait, Germany, Ethiopa, Australia, Africa, Kazakhstan, Algeria, Cameroon, Jordan, Indonesia, Mozambique, Sri Lanka, Dubai, Venezuela, Israel, Nigeria, Azerbaijan, South Africa, Colombia, Tunisia, Thailand (Bangkok), Brazil, Mexico, United States, Turkey, London, Angola, UK, Malaysia, Uganda, Canada, Egypt, Trinidad and Tobago, Vietnam, Italy, Morocco, New Zealand, UAE, Peru, Russia, Sudan, Iraq. Nairobi, Istanbul, Luanda, Byblos, Abidjan, Data from the UN, Jeddah, Abu Dhabi, Hong Kong, Beirut, Omdurman, Yaoundé, Durban, Subra al-Haymah, Antananarivo, Pretoria, Dubai, Alexandria, Tehran, Cairo, Bamako, Ibadan, Soweto, Douala, Colombo, Maputo, Port Elizabeth, Port Harcourt, Sharm el-Sheikh, Zaria, Benin, Casablanca, Lusaka, Conakry, Dar es Salaam, Kinshasa, Maiduguri, Johannesburg, Brazzaville, Freetown, Algiers, Riyadh, Bethlehem, Accra, Fez, Tripoli, Cape Town, Dakar, Kampala, Mecca, Aqaba, Mogadishu, Kaduna, Lagos, Jerusalem, Mbuji-Mayi, Giza, Cairo, Khartoum, Lubumbashi, Amman, Manama, Kolwezi, Singapore, Addis Ababa, New York, Harare, Bulawayo, Kano, Tel Aviv, Muscat, Dammam, Doha, Ouagadougou, Rabat.